I do a lot Skype visits with classes, and I feel pretty goofy talking into a webcam… but this program turned out well. 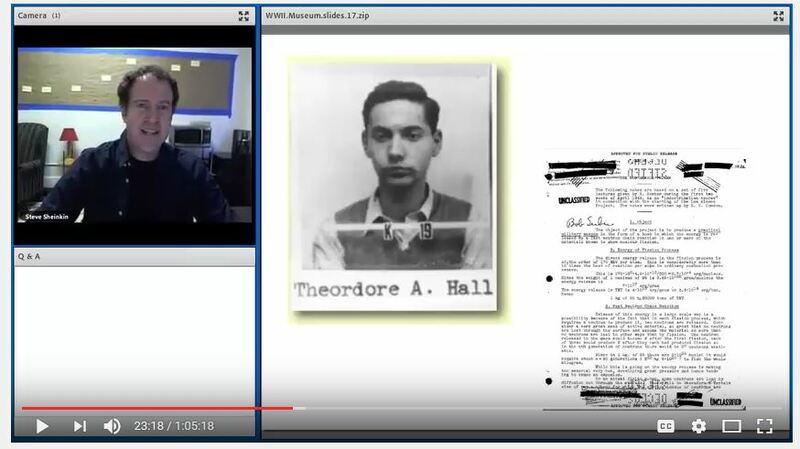 It’s a student webinar about my book Bomb, produced by the amazing World War II Museum in New Orleans. Basically, I tell some of the stories from the book – similar to what I often do at school visits – and there are som e cool scientific demonstrations.